徐心一(1995-), 女(汉族), 安徽省安庆市人, 硕士研究生, 主要研究方向为生态环境规划、管理与评价。E-mail:xyxu_nju@hotmail.com. 朱晓东(1963-), 男(汉族), 江苏省无锡市人, 博士, 教授, 主要从事生态环境规划、管理与评价研究。E-mail:xdzhu@nju.edu.cn. 第一作者：徐心一(1995-), 女(汉族), 安徽省安庆市人, 硕士研究生, 主要研究方向为生态环境规划、管理与评价。E-mail:xyxu_nju@hotmail.com. 通讯作者：朱晓东(1963-), 男(汉族), 江苏省无锡市人, 博士, 教授, 主要从事生态环境规划、管理与评价研究。E-mail:xdzhu@nju.edu.cn. Abstract: [Objective] To explore the effectiveness of sponge city construction and its key driving factors, in order to provide theoretical basis and policy guidance for sponge city construction in different areas in China. [Methods] The evaluation index system of sponge city construction was established from four aspects including water environment safety, the utilization of water resource, water pollution control and water habitat construction. According to the topography, climate and development scale, Beijing, Chongqing and Zhenjiang City were selected as the study areas. The change of sponge city construction and its key influencing factors was quantitatively analyzed by principal component analysis and fuzzy-gray comprehensive evaluation model. 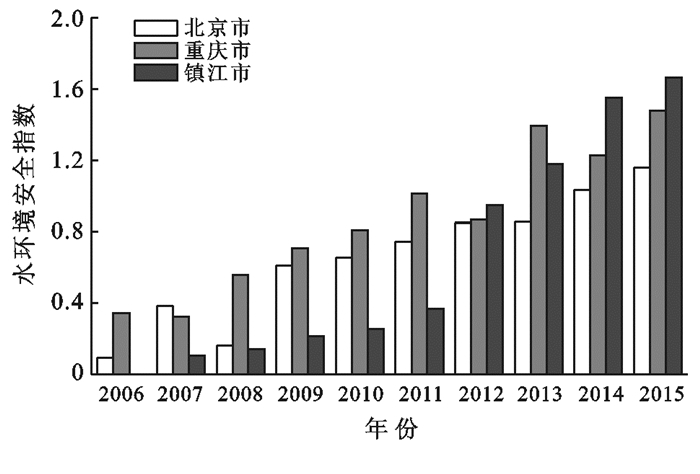 [Results] From 2006 to 2015, the index of sponge city construction showed an upward trend. 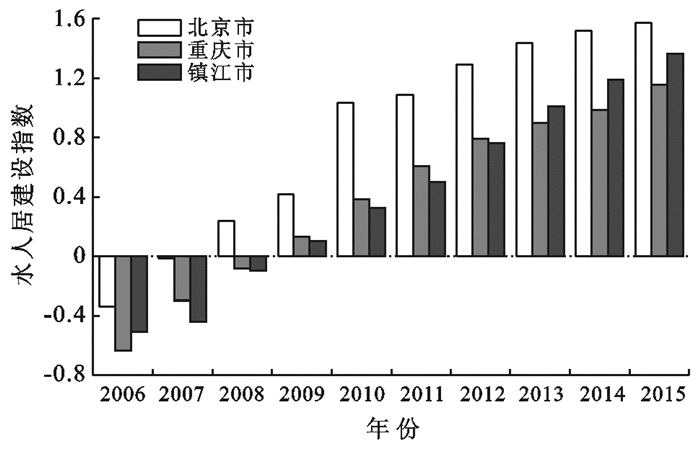 Of all the sub-target layer construction indexes, only the water resources utilization index of Beijing and Chongqing City has decreased. [Conclusion] Chinese sponge city construction has achieved initial success, and urbanization is closely related to the change of sponge city construction index. The construction of sponge city in North China and East China should also strengthen the control of the reservoir volume per unit area and agricultural pollution load; and based on topographic analysis, the construction of sponge city in mountainous cities should also strengthen the control of water saving and domestic wastewater discharge. 杨帆, 徐建刚, 林蔚. 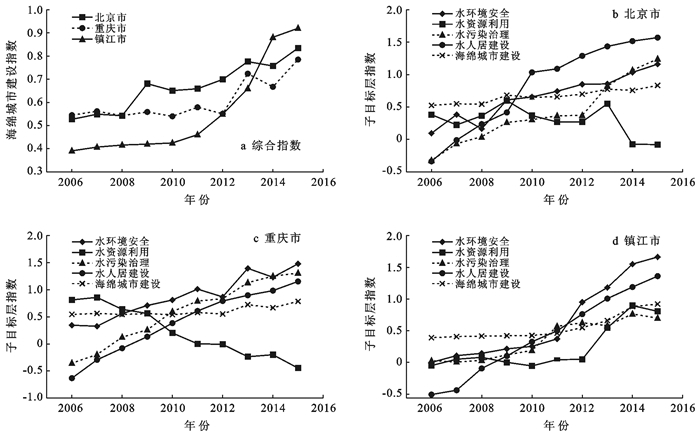 基于元胞自动机的低影响开发对城市内涝削减效果模拟[J]. 自然资源学报, 2017, 23(7): 1158-1169. 车伍, 闫攀, 赵杨, 等. 国际现代雨洪管理体系的发展及剖析[J]. 中国给水排水, 2014, 30(18): 45-51. Dietz M E. Low impact development practices: A review of current research and recommendations for future directions[J]. Water, Air, and Soil Pollution, 2007, 186(1/2/3/4): 351-363. Agency U S E P. Low impact development(LID): A literature review[R]. Epa-841-B-00-005, Office of Water, Washington, D. C, 2000. Hoyer J, Dickhaut W, Kronawitter L, et al. Water sensitive urban design-principles and inspiration for sustainable stormwater management in the city of the future[M]. Berlin: Jovis Publishing Company, 2011: 79-87. 王虹, 丁留谦, 程晓陶, 等. 美国城市雨洪管理水文控制指标体系及其借鉴意义[J]. 水利学报, 2015, 46(11): 1261-1271, 1279. 张建云, 王银堂, 胡庆芳, 等. 海绵城市建设有关问题讨论[J]. 水科学进展, 2016, 27(6): 793-799. 张浪, 郑思俊. 海绵城市理论及其在中国城市的应用意义和途径[J]. 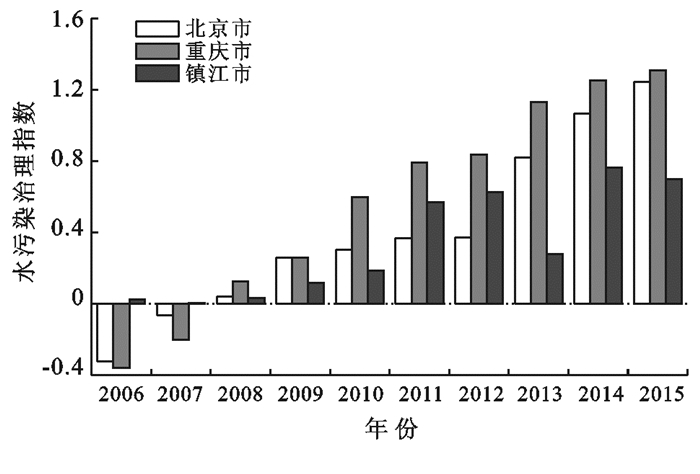 现代城市研究, 2016(7): 2-5. 王俊岭, 王雪明, 张安, 等. 基于"海绵城市"理念的透水铺装系统的研究进展[J]. 环境工程, 2015, 33(12): 1-4, 110. 刘昌明, 张永勇, 王中根, 等. 维护良性水循环的城镇化LID模式:海绵城市规划方法与技术初步探讨[J]. 自然资源学报, 2016, 31(5): 719-731. 俞孔坚, 李迪华, 袁弘, 等. "海绵城市"理论与实践[J]. 城市规划, 2015, 39(6): 26-36. 潘笑文, 徐得潜. 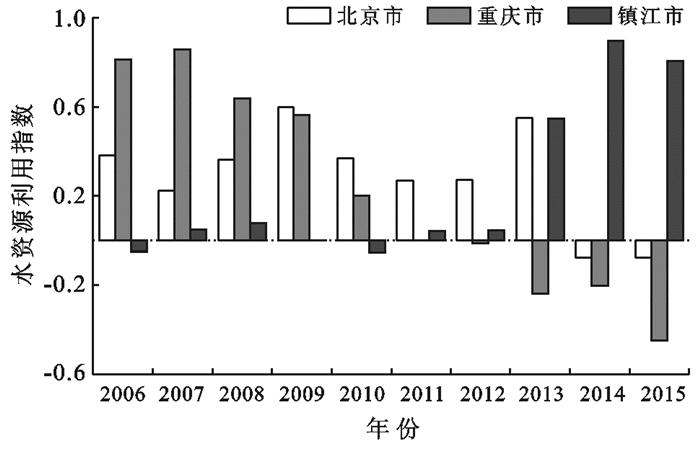 基于典型年法的海绵城市建设控制指标研究[J]. 水土保持通报, 2017, 37(1): 123-127, 131. 尹洪军, 靳俊伟, 程巍, 等. 重庆海绵城市建设规划层面的控制指标量化探索[J]. 中国给水排水, 2016, 32(21): 152-155. 任心欣, 汤伟真. 海绵城市年径流总量控制率等指标应用初探[J]. 中国给水排水, 2015, 31(13): 105-109. 中国城市经济学会中小城市经济发展委员会.中国中小城市发展报告(2010): 中国中小城市绿色发展之路[R].北京: 社会科学文献出版社, 2010: 15-18. 张晨, 赵言文, 于莉. 烟台市牟平区生态承载力研究[J]. 水土保持通报, 2012, 32(4): 271-275. 邹源飞. 海绵城市指标体系在控规中的实证研究[J]. 低碳世界, 2017(6): 173-174. 席文娟. 改进模糊综合评价法在水质评价中的应用[J]. 水资源与水工程学报, 2012, 23(3): 25-29.